Supreme Constitutional Court in Egypt, which dissolved the parliament last month, is due to discuss how to respond to President Mohammed Mursi’s order to reconvene it. The speaker of the dissolved house has called for it to meet on Tuesday. Military and judicial authorities have held emergency talks, but have not announced any action so far. 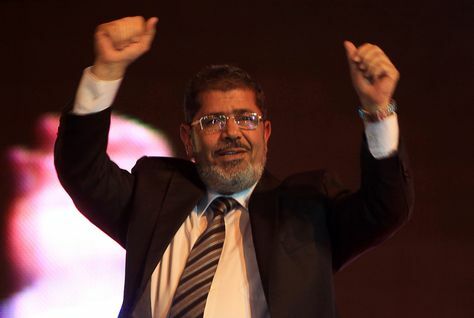 Mohammed Mursi, whose Muslim Brotherhood won most seats, said the chamber should reconvene until a new election is held. Military police are keeping the area around the parliament building sealed. It is not clear when or how MPs are expected to reconvene. MPs would first have to get past a line of police and military guards who have been preventing them from entering the parliament building – or they could meet elsewhere. The Supreme Council of the Armed Forces (SCAF) – which has assumed legislative power – met in an emergency session shortly after the presidential decree was issued on Sunday. It is due to hold another meeting. The military had enforced a court order last month dissolving parliament because party members had contested seats reserved for independents. The SCAF took over the reins of power last year, after the revolution that ended former President Hosni Mubarak’s 30-year rule. The army move was initially welcomed by many of the anti-government protesters, but its presence became increasingly unpopular as critics accused its leaders of wanting to hold on to power. Mohammed Mursi won the country’s first free presidential election last month, and army chiefs formally handed over power on 30 June. But before his inauguration, the military had granted itself sweeping powers. The commanders’ constitutional declaration stripped the president of any authority over the military, gave military chiefs legislative powers, and the power to veto the new constitution, which has yet to be drafted. In his presidential decree, Mohammed Mursi said new parliamentary elections would be held 60 days after the constitution had been agreed by referendum, the decree said. The Muslim Brotherhood has consistently opposed the decision to dissolve parliament. But analysts say it is unclear whether the president has the authority to reinstate the assembly. If there was a political truce in Egypt, it could soon be over – unless this is part of a more complicated deal, under which parliament would meet briefly then be dissolved by the president.